On November 24th we held our second major contest at Sport Zone Veresegyház. I worked really hard to improve on last year’s contest in all departments. 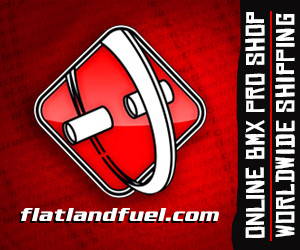 Thanks to our main sponsors Magnetic, IPF Corner, DMKER, Elite BMX Shop and Sport Zone we raised 1000 Euro for Pro purse. I hoped it would help bring some top Pro’s here and it did! 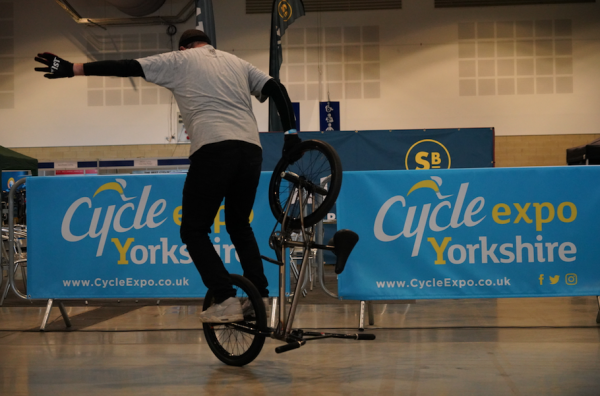 We had 12 Pro riders from 6 countries, including the kids and Amateur riders a total of 34 competitors! Róbert Völler “Minerboy” our live DJ was running the rider routines which made my day a lot easier. We also added new podiums and sponsor wall for the prize giving. I split School Class into A and B classes, because there is a good step up now from the kids who are really practicing a lot. Recent contests in Hungary have really helped to motivate them. The B class was great to see as some of the kids have only been riding 5-6 weeks and still wanted to take part. Emma Kriston one of two girls at the school got second place! There is a separate video for each category on Youtube. With Sevisual behind the lens and Rob Alton on editing duties, here is the AM and Pro highlights video from the Sport Zone Verseny contest the other week over in Hungary with great riding from the likes of Dominik Nekolny, Martin Drazil, Matti Hemmings, Keelan Philips, Fülöp Vidakovich, and many more. 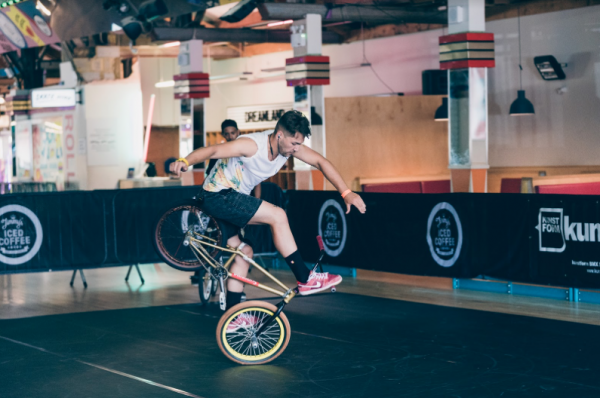 Great to see grassroots events like these being so well attended, this looked like a lot of fun including the longest mega spin contest. Anyone dizzy? Today I made the 6 hour trek from Southsea on the south coast of England to Harrogate, in Yorkshire. Harrogate is in the North of England for all of you across the world that might not know. Harrogate is the home of “Yorkshire Tea”, my favourite brand of tea in the world and what by and large fuels Flatmattersonline updates on the daily. 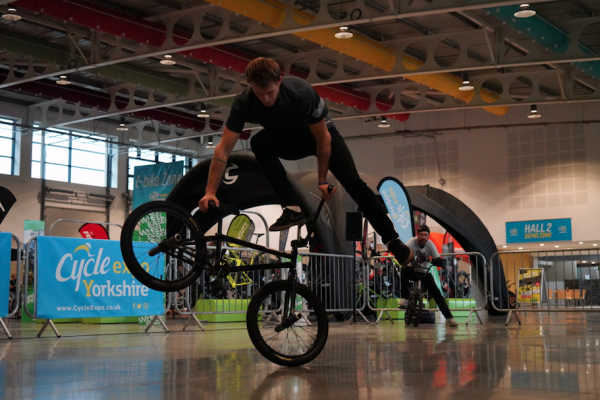 It was pretty awesome to drive past the home of YT today on the way to the Yorkshire events centre for the UK Flatland Championships. The trek to Harrogate was eventful, with Matti planning my route via the underground (bikes aren’t allowed on the underground) so I missed my train and after a stressful hour or so trying to figure out how I would get to Yorkshire. The guard was nice enough to let me on the train and all was well with the world once again. When I arrived I was greeted by the man with the largest seatpost in BMX, Matti Hemmings and Davis Dudelis. Matti is out injured so is hobbling about with a swollen ankle. I got in a nice three hour session with Davis getting used to the floor. We have a decent sized floor, fast stone floor, super smooth! 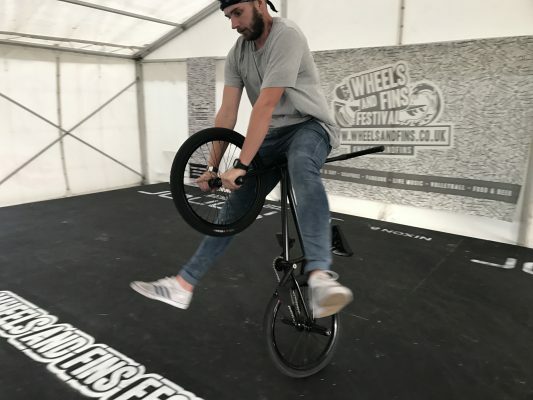 After brushing off the initial travel stiffness, I really enjoyed the session, nailing a couple of new lines I am working on whilst Davis was slaying big hop bars to manual bar out with ease, once my session started winding down Davis started playing with rollback grip rides again. 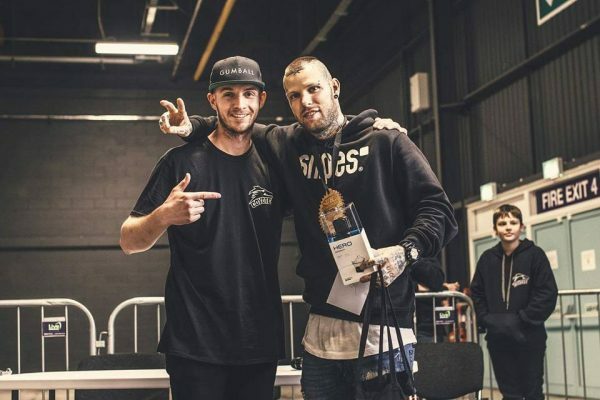 Davis is one of the most chilled pros on the scene, Matti wanted to get some more content for the UK Flatland Championships so we fired out a pretty funny short interview that I will get posted as soon as I can. I’m feeling pretty tired now from the travel mostly, a 4am start will do it to you. But I wanted to update you across the globe and let you know what’s going here in the UK, the venue is dialled and we are set for tomorrow’s contest. It’s time for a Yorkshire tea in Yorkshire! 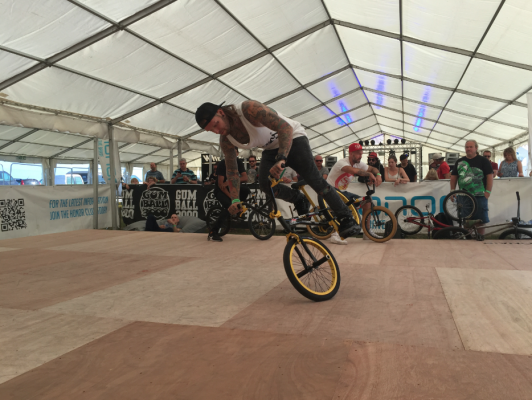 Round 1 of the 2018 UK Flatland Championships took place last weekend in Margate, Kent. Margate is a seaside town about an hour and half from central London for all of you reading this outside of the UK. Matti Hemmings once again is the man behind making the event happen, this year a different location and a better set up. Dreamlands, an amusement park smack on Margate seafront which somewhat bizarrely to me, goes in land rather than out towards the sea, two years ago we sat on the seafront having fish n chips after the Wheels and Finns festival and wondered what Dreamlands was. A great use of space and in terms of planning, this place is epic. You wouldn’t know this amusement park was even there, if you drive along the seafront road. Photos: Effraim and Matti Hemmings. 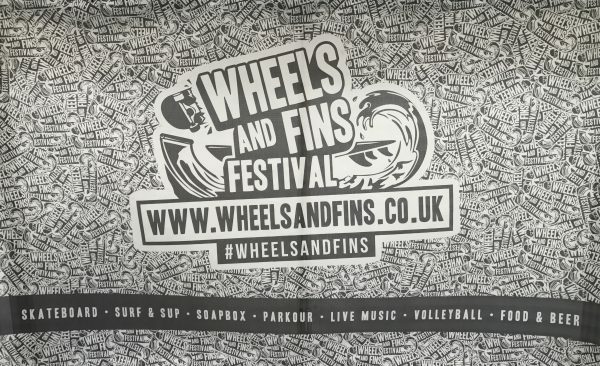 Day 1 of the Wheels and Finns today in Joss Bay, Kent for the UK Flatland Championships organised by Matti Hemmings and myself. Matti was already on site a day earlier to check everything was running according to plan. I made the trip over to Broadstairs via London on the train, the weather was not looking too good on route. 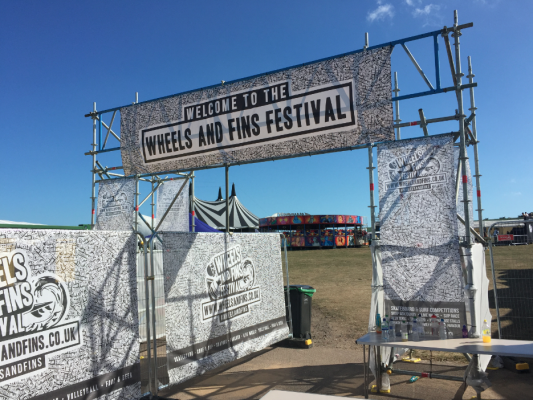 Myself and Matti Hemmings made the trip to the beautiful seaside town, Joss Bay in Kent today to set up for the weekend here at the Wheels and Finns Festival. 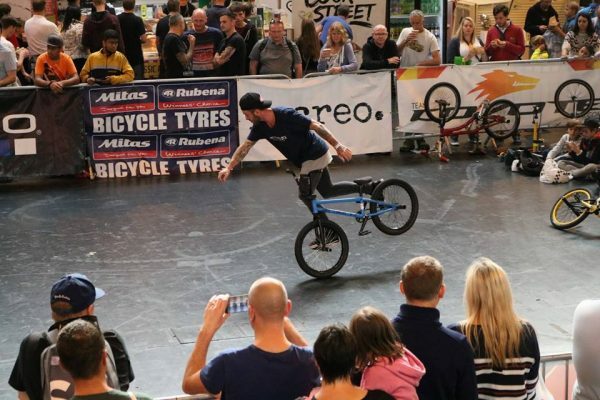 UK Flatland BMX Championships is back! 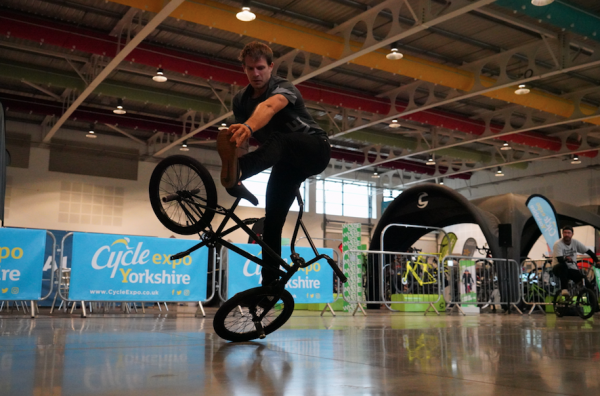 Last year’s Cycle Show was the biggest in its 14 year history, hosting a record-breaking number of bike companies and welcoming over 27,000 bike-loving visitors over four days. 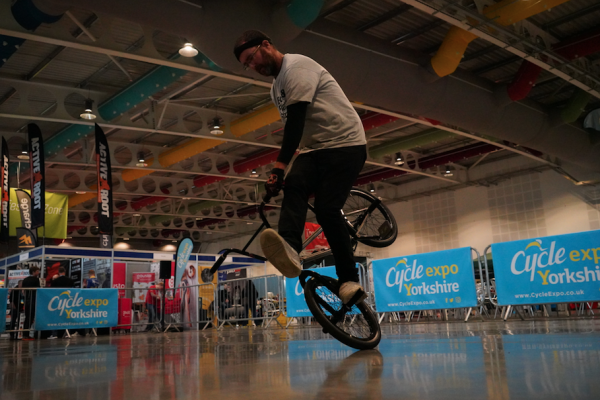 Hit play to check out the new trailer Matti Hemmings just put together, we are working hard already to make sure this years event is much better! Stay tuned!